Be the first to share your favorite memory, photo or story of KaSandra. This memorial page is dedicated for family, friends and future generations to celebrate the life of their loved one. 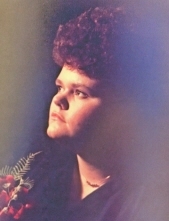 KaSandra Marie (Miller) Beltz, age 53 of Butler, Missouri passed away March 14, 2019 at St. Joseph Medical Center in Kansas City, Missouri. Memorial services will be Saturday, March 23, 2019 at 1:00 PM at the First Christian Church, Butler, Missouri. Services under the direction of Mullinax Funeral Home, Butler (660-679-0009). Messages of condolence may be left for the family at www.mullinaxfuneralhome.com. KaSandra Beltz was born on November 13, 1965 in Harrisonville, Missouri, the daughter of James F. Miller and Doris McCleary Miller. She graduated from Cass Midway in 1984. KaSandra worked in healthcare for a while and went on to be a nanny for a few years in Louisiana. She came back home to Missouri to work with foster children. She married the love of her life, Brad Beltz on December 15, 2002. KaSandra was preceded in death by her father, James Miller. She is survived by her mother Doris Miller of Butler, Missouri; her husband Brad Beltz of the home in Butler; two daughters Tina Scheerer (Cory) of Nevada, Missouri and Lillian Copeland (Jeff) of Independence, Missouri; brother James Paul Miller and sister Suzie Wilson (Darrell), both of Butler, Missouri along with 8 grandchildren and many nieces, nephews and family that loved her very much. To send flowers or a remembrance gift to the family of KaSandra Beltz, please visit our Tribute Store. "Email Address" would like to share the life celebration of KaSandra Beltz. Click on the "link" to go to share a favorite memory or leave a condolence message for the family.